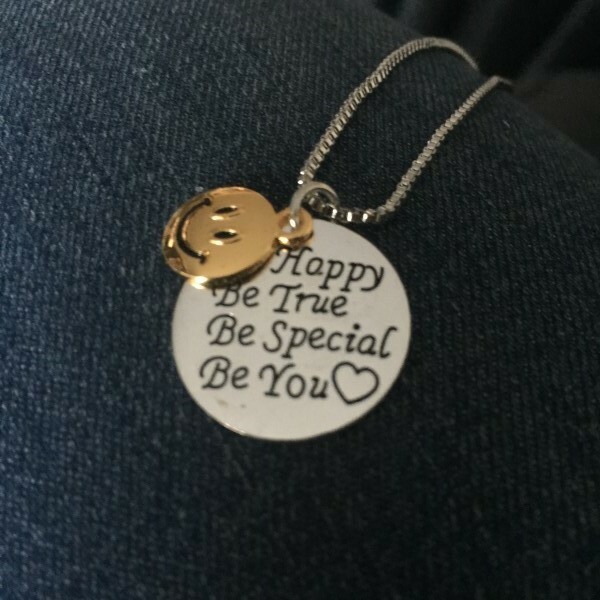 Two Toned Be Happy necklace. Be happy, be true, be special, be you. 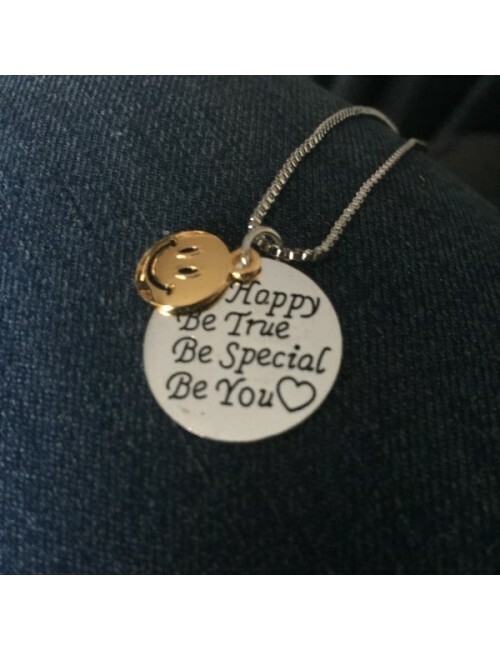 This beautiful necklace is a reminder to just be happy, and be yourself. MATERIALS: Rhodium plated base metal pendant, with Gold Plated "Smiley Face" charm.